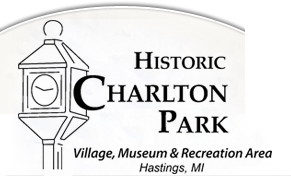 Historic Charlton Park's Rental of the Gas and Steam Barn for an event runs from mid April until mid October. The rental fee is $1,300-$1,500 per day for use of the barn. To request a date, contact the Park office or fill out our Reservation Request Form. For photos of the Gas and Steam Barn decorated, click here.